I moved to Valencia. It’s been an adventure trying to get established in a new city after three years in Bilbao. I feel things are going to go smoother from here on out. Me trasladé a Valencia. Ha sido una aventura para establecerme en una ciudad nueva después de tres años en Bilbao. Creo que las cosas van a mejorar ahora. I am making slow but steady progress on anxiety, depression and social anxiety. Estoy progresando poco a poco con mi lucha con ansiedad, depresión y fobia social. I travelled to Málaga, Barcelona (three times), Berlin, Prague, Bratislava, Tenerife, Turín, Dublin and the United States. 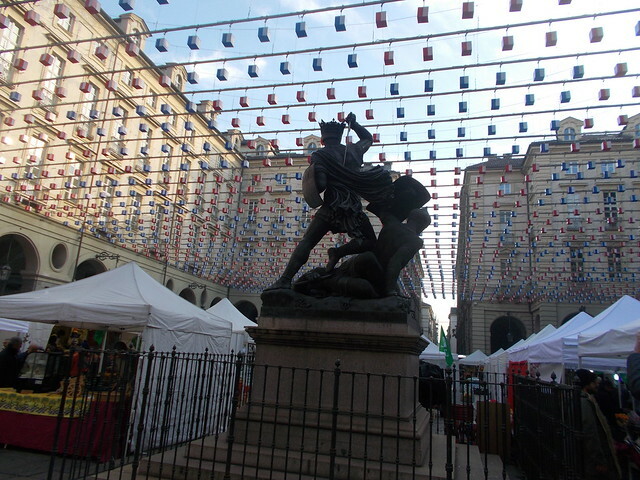 I had day trips to Basque France, Navarra, Soria, Madrid, La Rioja and Cantabria, plus various places in the Basque Country and the Comunitat Valenciana. Viajé a Málaga, Barcelona (tres veces) Berlín, Praga, Bratislava, Tenerife, Turín, Dublin y los EEUU. Hice viajes de un día a País vasco francés, Navarra, Soria, Madrid, La Rioja y Cantabria, y también a destinos en Euskadi y la Comunitat Valenciana. I accomplished (more or less) 40 hikes. Logré hacer (más o menos) 40 rutas. I saw a lot of great films and read a lot of great books. Vi muchas películas buenas y leí muchos libros buenos. I am still making vodka limones with all the lemons life throws at me, and life does throw a lot of them! I can only hope for the best for the future. Todavía hago vodka limones con los limones que la vida me tira, y la vida tira bastante. Solo puedo esperar lo mejor para el futuro. Goals completed for 2016? I continued to submit my novel for publication (No luck yet), made slow but steady progress at the gym, almost almost almost arrived to Oviedo on the Camino del Norte, moved to Valencia, visited three new countries and one new Spanish province. Not so bad. ¿Retos logrados en 2016? He mandando mi novela a editoriales para consideración de publicación (sin exitó todavía), hice progreso poco a poco en el gimnasio, casí casí casí llegué a Oviedo en el Camino del Norte, me trasladé a Valencia, visité tres países nuevos y una provincia española nueva. No fue tan mal. Now I will share with you two memes that I always share every year. Ahora, en ingles, comparto dos memes que comparto todos los años. The first, the places I slept in 2016: Lawrenceburg, Kentucky; over-the-Atlantic; Bilbao, Spain; Málaga, Spain; Barcelona, Catalunya/Spain; Berlin, Germany; Prague, Czech Republic; Bratislava, Slovakia; Madrid, Spain; Valencia, Spain; Casas del Río, Valencia, Spain; Gandia, Valencia, Spain; Santander, Boo de Piélagos, Cobreces and San Vincente de la Barquera, Cantabria and Pendueles, Llanes, Piñeras de Pria and La Isla,, Asturias on the Camino del Norte; Oviedo, Asturias, Spain; León, Castilla León, Spain; Tenerife, Spain; Ademuz, Valencia, Spain; Torino, Italy; Dublin, Ireland; Mt. Washington, Kentucky, USA; Norwalk, Ohio, USA. 1. What did you do in 2016 that you’d never done before? : Camino del Norte, joined a hiking club. 2. Did you keep your New Years’ resolutions, and will you make more for next year? : Some, and I always have goals for the New Year. The goals will come soon. 3. Did anyone close to you give birth? : It seems everyone is having kids this day. I can’t remember who was in 2016. 4. Did anyone close to you die? : My aunt on Christmas Eve. 6. What would you like to have in 2017 that you lacked in 2016? : Dogs, money, and a boyfriend! 8. What was your biggest achievement of the year? : El Camino, moving to Valencia. 12. Whose behavior merited celebration? Social justice warriors. 14. Where did most of your money go? : Travel, café con leche, books (kept from 2015). 15. What did you get really, really, really excited about? : Travelling and the move to Valencia. 19. What do you wish you’d done less of? Procrastinating, being afraid to be who I am, worrying, and binging tv! 22. Did you fall in love in 2016? : Blah. 25. Do you hate anyone now that you didn’t hate this time last year? : I never *liked* my dad’s side of the family, and after the US election, I will no longer speak to them due to their bullying. 27. What was your greatest musical discovery? : Unfortunately I just discovered George Michael this year. 28. What did you want and get? 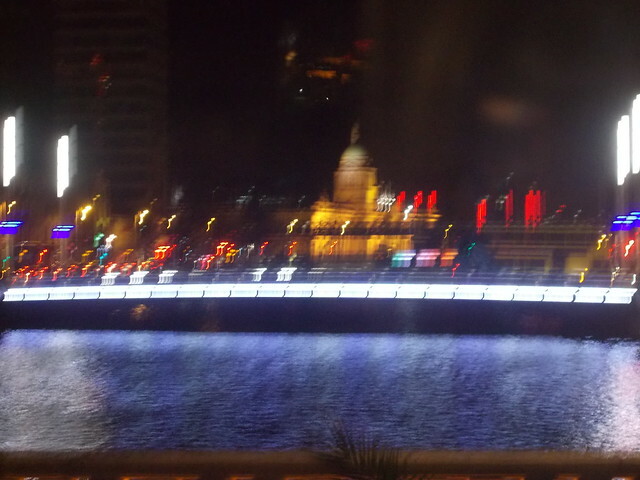 : I’m still in Spain, and in Valencia a lot. 29. What did you want and not get? : A lot. But I am coping. 30. What was your favorite film of this year? : I really don’t know. Joy, Julieta…I will have to think about it. 31. What did you do on your birthday, and how old were you? : 35 and went to Barcelona and Italy. 34. What kept you sane? 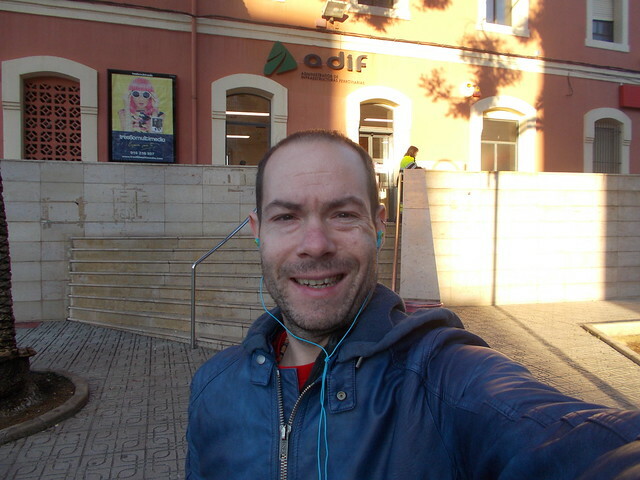 : Jordi, my iPod, the Camino del Norte and hiking in general. 36. What political issue stirred you the most? : Anyone who has been offended by Donald Trump, please raise your hand. I see everyone raising their hands. Enough said. 37. Who did you miss? : Fallon Fey, my golden retriever, and a few friends. 38. Who was the best new person you met? : I’m going to say outside of my co-workers, my new friend Mr. From The Street (¡hola! )…I hope we’re buenas migas for life. 39. Tell us a valuable life lesson you learned in 2016: Don’t stay quiet. 40. Quote a song lyric that sums up your year: It was a perfect illusion. The Last Two Hikes of 2016. I made a goal of doing 40 hikes in 2016. Did I make it? I’m going to have to do some politician mathematics, but it looks like I did. Hice un reto de 40 rutas en 2016. ¿Lo conseguí? Bueno, tengo que hacer mates de un político, pero creo que sí. When I was working at the camp near Requena this summer, I took off on a hike through the nearby mountains in my free time that I never wrote up about. It was about a 5 kilometre hike with some beautiful mountain views near Río Cabriel. I don’t have any photos, but it was a nice evening stroll that wasn’t too difficult. Cuando estaba trabajando en el campamento de inglés cerca de Requena este verano, hice una ruta por la sierra durante mi tiempo libre. Nunca escribí de ello. Era unos 5 kilometros con unas vistas de monte bonitas a lado de Río Cabriel. No hice fotos, pero era un paseo fácil por la tarde. For the 40th hike to count? 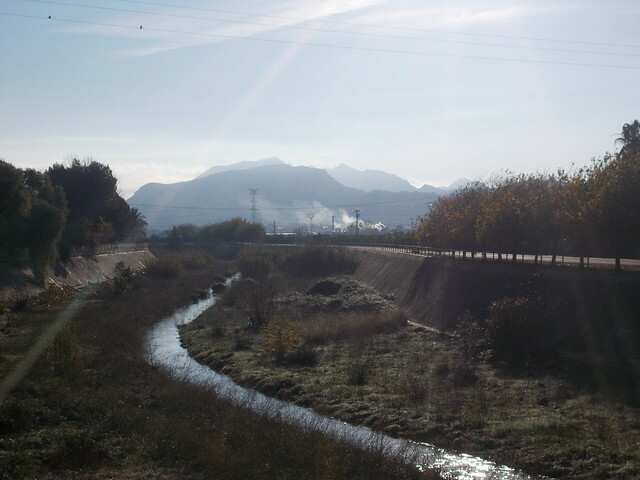 After the great Valencia flood of 1957, the city was able to change the river bed to south of the city and converted the old river bed into a 7-km long park. The City of Arts and Sciences lies at one end, and the Bioparc zoo lies at the other end. I’ve walked it on more than one occasion and never realised that technically, it was a “ruta” due to the length. ¿Y la 40? Después de la Gran Inundación de 1957, la ciudad cambió el cauce del río y ahora está al sur de la ciudad. La cauce antiguo ahora es un parque de 7 kilómetros que empieza por la Ciudad de Artes y Ciencias y acaba al zoo de Bioparc. 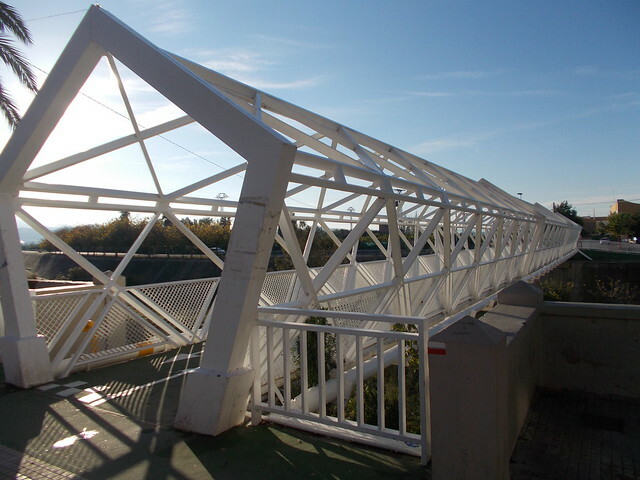 Lo he caminado varias veces y no he pensando contarlo como una ruta, pero cuenta por su longitud. There were a more than a few problems in legitimately reaching the 40-hike challenge. In Bilbao, the weather kept me cooped up inside. A surprisingly wet autumn cancelled more than one planned hike, and a cold/ear infection in November cancelled a few other planned hikes. Había más de un problema en completar las 40 rutas. En Bilbao, el tiempo siempre era un problema. Una otoño bastante lluvioso (¡una sorpresa!) en Valencia canceló más de una ruta, y un resfriado/infección de oído anuló más rutas. Just blame the bad luck on the Curse of 2016! Echamos la culpa a la Maldición de 2016. Am I going to make another 40-hike challenge for 2017? ¿Y ahora voy a hacer otro reto de 40 rutas para 2017? I got a LOT of hiking gear for Christmas from Santa that I will love trying out. In 2017, I am planning on completing the Camino del Norte (and Camino Primativo in 2018), along with arriving to Xátiva on the Camino de Levante and doing a few days on the Camino de la Lana (The Wool Camino) in Valencia to Requena. We shall see where we arrive. Recibí mucho equipo de senderismo de Papa Noel durante Navidades que me encantará probar. En 2017, tengo pensado acabar el Camino del Norte (el Camino Primativo en 2018), llegar a Xátiva en el Camino de Levante, y hacer unos días del Camino de la Lana desde Valencia hasta Requena. A ver hasta donde llego en 2017. Happy 2017 everyone! ¡Feliz año 2017 a todos! Bon any 2017 a tothom/tots! Urte berri on 2017! I gave Ireland a short second chance to make an appeal after my holiday of errors in 2014, and it completely won me over, despite having less than 24 hours in Dublin. He dado Ireland una segunda oportunidad para ganar mi afección después de un viaje de erroes en 2014, y este vez ha ganado mi corazón, aunque tenía menos de 24 horas en Dublín. Every year, I visit my mother back in the States, and this year, the cheapest flight for several weeks included an overnight layover in Dublin. This was the flight I chose. I flew from the Alicante airport with Aer Lingus, which was a pleasant enough company. Todos los años, visito a mi madre en los EEUU, y este año, el vuelo más barato encontrado durante unas semanas incluyó una escala de noche en Dublín. Al final era el vuelo que compré. Salí desde el aeropuerto de Alicante con Aer Lingus, que es una compañía bastante bien. Due to rain storm Barbara, the incoming flight from Dublin was late, which meant the flight from Alicante to Dublin left an hour late. No problem! 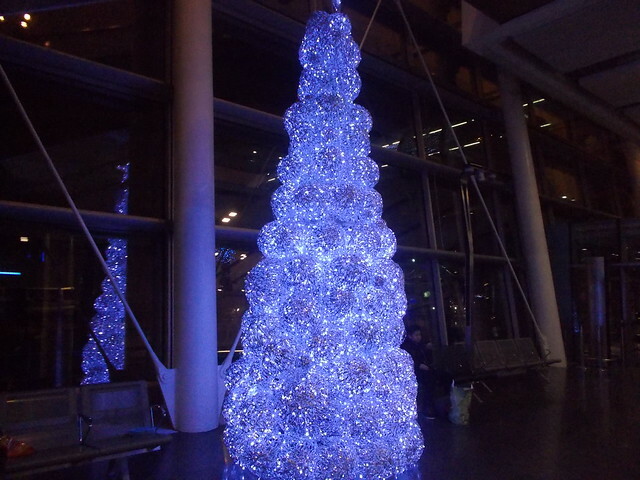 The flight went by quickly, and before I knew it I was on the Air Coach to Dublin City Centre (13€ return/round trip). Dado a Tormenta Barbara, el vuelo de Dublín llego tarde a Alicante, que significaba que el vuelo de Alicante a Dublín salió una hora tarde. ¡No problema! El vuelo pasó rápido, y dentro de nada estaba cogiendo el Air Coach al centro de Dublín (13€ ida y vuelta). 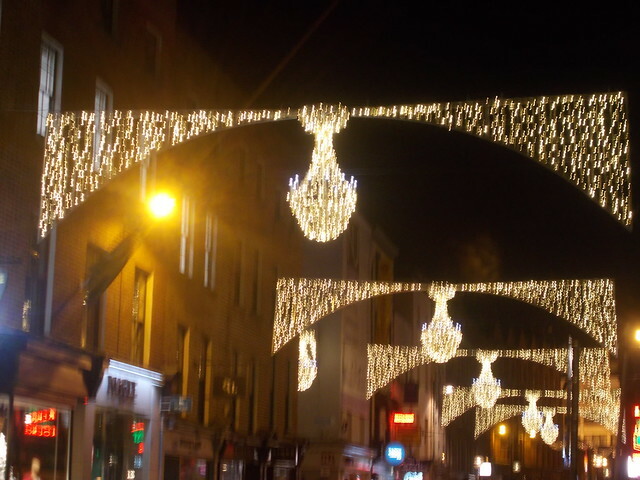 The city is positively magical at Christmas time. I love Christmas lights, and Valencia is disappointing at Christmas time (all their lights are displayed in March for Fallas). 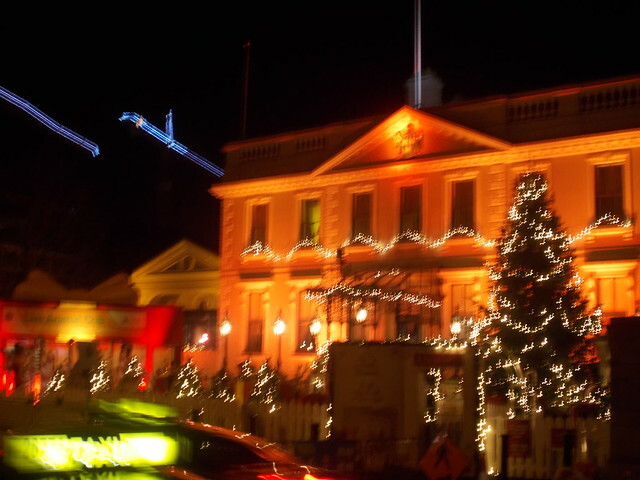 I stayed close to St. Stephen’s Green. Although it was around 9 by the time I finally checked into the hotel (which left a mint on the pillow. How quaint! 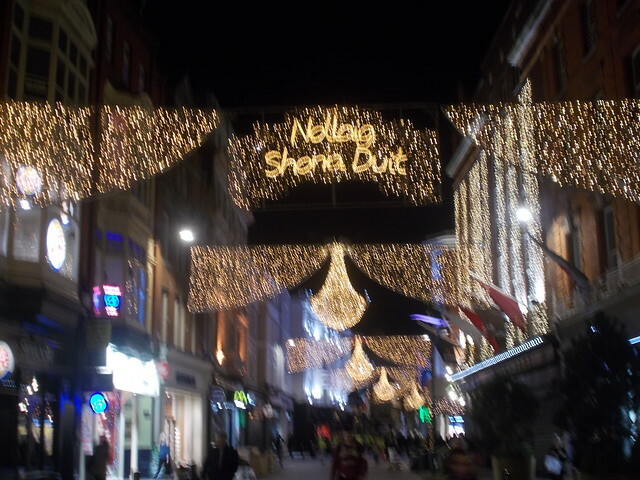 ), I went for a quick burrito (because I mean, Dublin just screams out “Eat Mexican”) and wandered around the City Centre, making my way to Temple Bar. La ciudad tiene una magia durante Navidades. Me encantan las luces navideñas, y Valencia me decepciono en Navidad (todo su dinero para luces es guardado para Fallas en marzo). Me alojé cerca de St. Stephen’s Green. Aunque eran las 9 cuando llegué al hotel (que me dejó una menta en la almohada, ¡que chulo! ), fui a cenar un burrito (claro, uno siempre piensa en Dublín cuando piensa en comida mexicana) y pasé por el centro de la ciudad hasta Temple Bar. I’ll let the photos speak for themselves. I did get a hug from a random drunk Irishman, which has to be on some Bucket List somewhere. He was with a group of lads going to the pubs, whereas I had to return to get a decent night’s sleep before the long flight the following day. Permito las fotos hablar por mi. Por cierto, recibí un abrazo de un irlandés borracho, que tiene que ser algo de algún Bucket List. Estaba con un grupo de amigos en ruta a los pubs, y yo tenía que volver al hotel para dormir un rato antes de coger un vuelo largo el día siguiente. 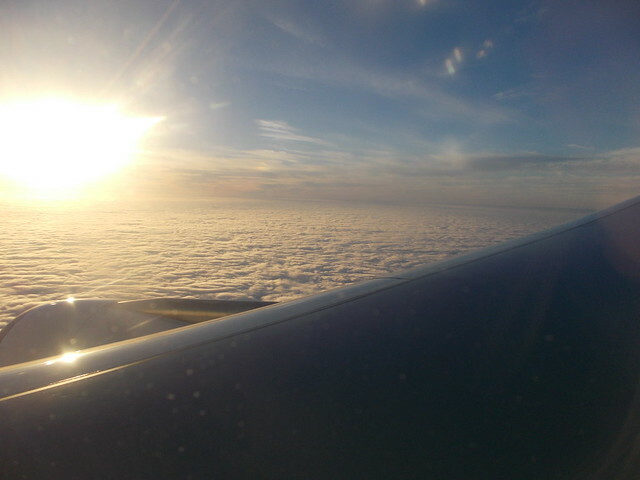 I’ll go ahead and say that the flight from Dublin to Chicago was hell. Once again, for the second transAtlantic trip in a row, we were sitting on the plane for an hour before they announced technical problems and we had to switch planes. I got to recreate that scene from Home Alone where they run through O’Hare to make my connecting flight. Vale. Admito ahora que el vuelo desde Dublín a Chicago era una pesadilla. Otra vez, el segundo vuelo transatlántico seguido, estabamos sentados en el avión durante una hora sin salir antes de nos informó que tuvimos que cambio de avión dado de un fallo mecánico. Después, tenia la oportunidad re-crear la escena de Solo en casa cuando corren por el aeropuerto de Chicago O’Hare para llegar a mi vuelo de conexión. I will also that the Preclearance through US Customs at the Dublin Airport is amazing and allowed me to not worry about having to clear it upon touching down in Chicago. También quiero decir que el Preclearance de las aduanas estadounidenses en el aeropuerto de Dublín es genial y no tenía que preocuparme durante el vuelo de tener que pasarla en Chicago cuando el avión llegó. 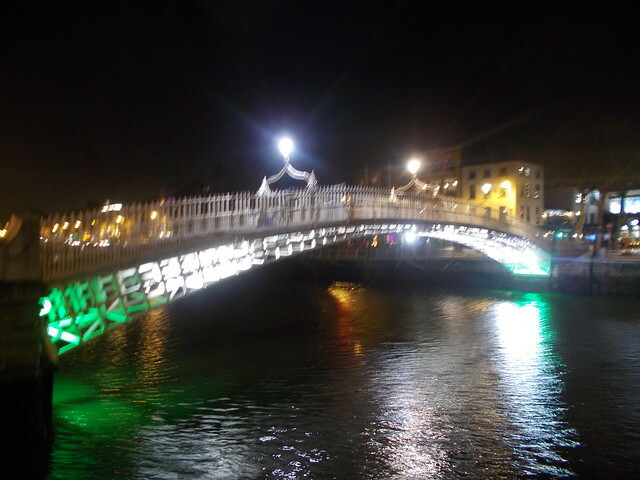 I am now itching to visit Ireland again at some point. There are just so many beautiful places in the world. Maybe if the return flight gets delayed and I have time to explore Ireland a bit, I can do it some justice! However, I’d rather just get the flights without any problems. Ahora tengo ganas de visitar Irlanda otra vez en el futuro. Hay muchos sitios bonitos en el mundo. A lo mejor si hay un retraso en el vuelo de vuelta y tengo tiempo de explorar la isla, puedo hacerlo justicia. Sin embargo, quiero poder coger los vuelos sin ningún problema. Two years ago, I wrote about some of the different Spanish customs. As I haven’t travelled much to Galicia, I was completely unaware about their traditions. This calls for investigation! Ya hace dos años, escribí de algunas tradiciones españolas de Navidad. Como no he viajado mucho por Galicia, no sabía nada de sus tradiciones. Por eso…¡he de investigar! Before Santa Claus’s influence arrived to Spain as Papá Noel, Galicia had their own Apaldador, somewhat similar to the Basque Olentzero. The Apaldador is a giant miner who lives in the mountains. Every Christmas, he visits the villages and touches the belly of children to see if they were well fed and leaves them with a handful of roasted nuts. He wears green, smokes a pipe and has a beret. The tradition is becoming popular once again. Antes de la influencia de Papá Noel en España, Galicia tenía su propio Apaldador, algo parecido al Olentzero vasco. O Apaldador es un carbonero y gigante. Vive en las montañas. Todas las Navidades visita los pueblos y toca la barriga de los niños para saber si se alimentan bien y les deja un puñado de castañas asadas. Se vista en verde, fuma una pipa y lleva una boina. La tradición está haciéndose popular otra vez. The Cepo de Nadal/Tizón de Nadal: It is also traditional to burn a log slowly, which represents the birth of a new sun (new year?) and whose ashes are thrown on the fire afterwards to protect from lightning. El Cepo de Nadal o Tizón es otra tradición gallega. Se quema un tronco lentamente, que representa el nacimiento de un año nuevo. Las cenizas se echan al fuego para proteger la casa de rayos. Galicia is a region that I hope to spend a lot of time next year when I finish el Camino del Norte. I’ll be able to write more authentically once I know the region better! Galicia es una región donde espero poder pasar mucho tiempo el año que viene cuando acabe el Camino del Norte. Ya podré escribir más auténticamente cuando conozca la zona mejor. No matter where you are in the world right now, Happy Holidays (Merry Christmas, Happy Hanukkah, Happy Winter Solstice, and Happy New Year! ), ¡Felices fiestas! Bones festes! Boas festas! Zorionak eta urte berri on! No importa donde estás en estas fechas, os deseo Felicies fiestas, bones festes, boas festas, zorionak eta urte berri on. May your 2017 be better than 2016! ¡Qué vuestro 2017 sea mejor que vuestro 2016! Thank you, gracias y graças to the following sources of information/a los siguentes fuentes de información. 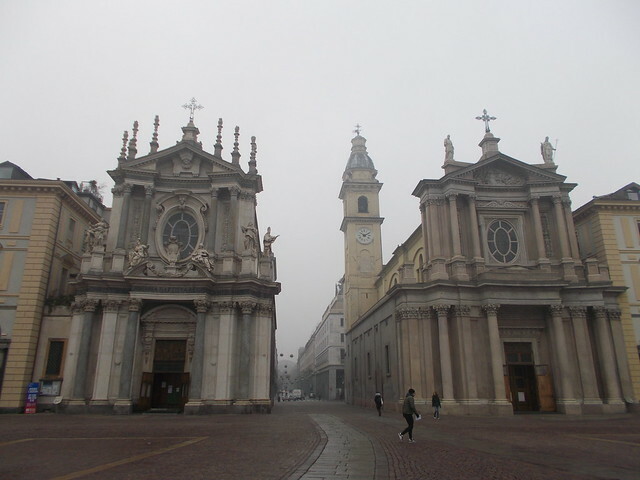 Although my time in Turín was short, I was able to see most on the list. The rest can be for another visit, whenever that may be! Aunque no tenía mucho tiempo en Turín, podía ver la mayoría de las cosas en la lista. Lo demás se puede ver en otra visita…¡aunque no sé cuando será! 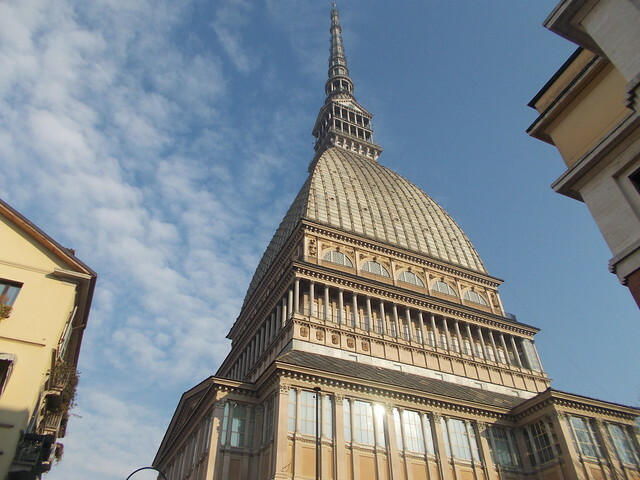 The National Museum of Cinema located at Mole Antonelliana (tickets 10€, combined entrance lift and museum are 14€) is a must-see for film fans. It shows the history of cinema and houses a lot of memorabilia, especially from Italian cinema, through the ages, including the cape Christopher Reeve wore as Superman. El Museo Nacional de Cine está ubicado al base de Mole Antonelliana. Las entradas cuestan 10€, y una entrada combinada de ascensor y museo cuesta 14€). Si eres aficionado del cine, hay que visitarlo. Muestra la historia del cine y tiene muchas cosas de la historia del cinema, especialmente el cine italiano. Tambien tiene la capa del Superman de Christopher Reeve. 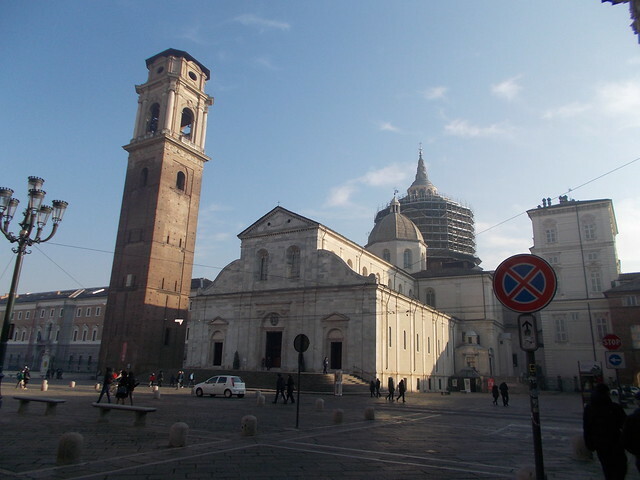 The square or plaza is located in the centre of the city and houses an old castle and two palaces, the Palazzo Reale (Royal Palace) and Palazzo Madama. 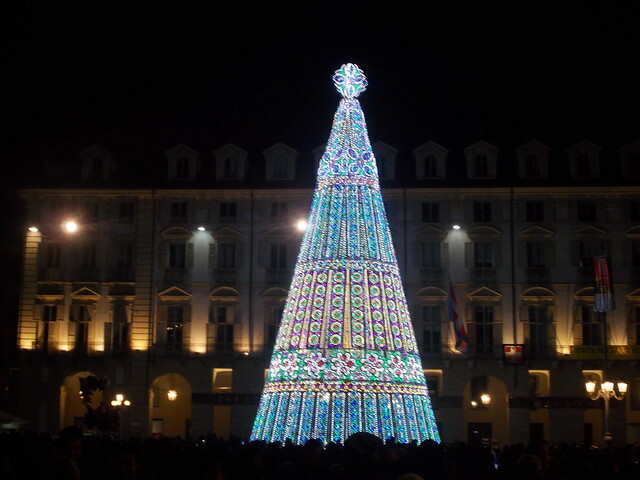 At Christmas, the piazza houses a advent calendar and the city Christmas tree next to a big Christmas market. La plaza más conocida de Turín está situado en el centro de la ciudad. Hay un castillo antiguo y dos palacios, el Palazzo Reale (Palacio Real) y Palazzo Madama. 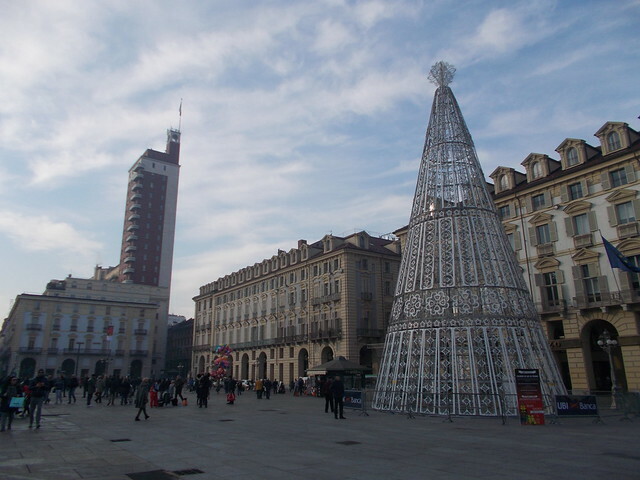 En Navidades, la piazza también tiene un calendario del Adviento grande y el árbol de Navidad de la ciudad a lado de un mercado navideño. 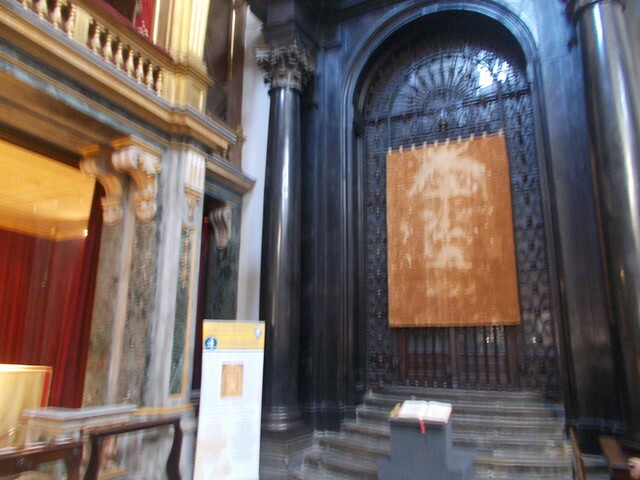 The Shroud of Turin is believed to be the shroud Jesus was buried in, although the Catholic Church has never confirmed or denied this belief. 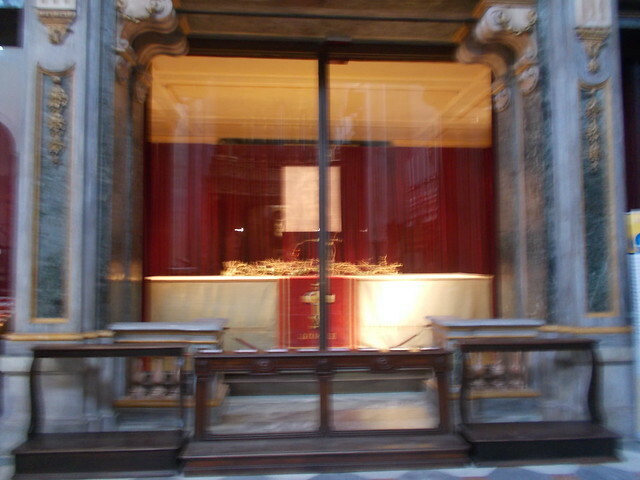 The actual shroud is kept beneath the cathedral in a vault and is only shown at certain times. La Sábana Santa es pensada por muchos ser la sábana del entierro de Jesús, aunque la Iglesia Católica nunca lo ha confirmado ni ha denegado. La Sábana real es guardado en una cripta abajo de la catedral y solo se puede ver en épocas ciertas. 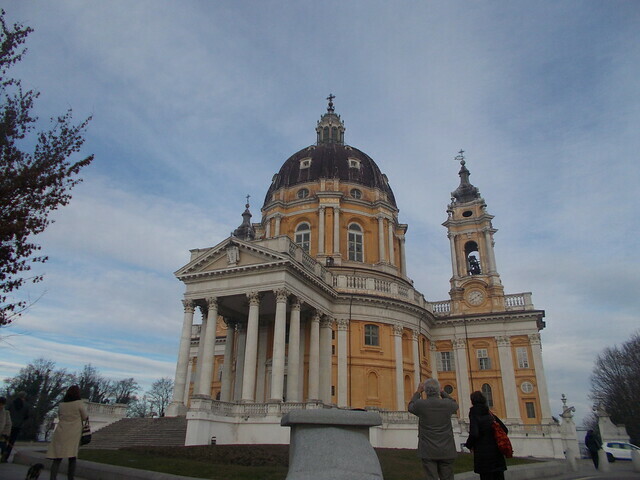 Overlooking the city of Torino on a hill lies the Basilica de Superga. 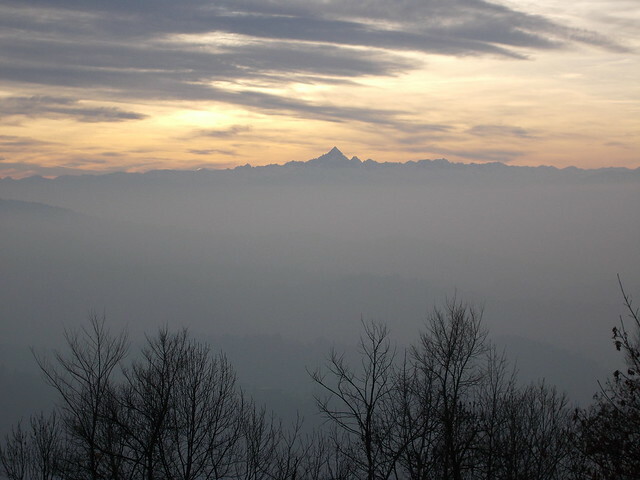 It was built in the 18th century for Victor Amadeus II of Savoy on the hill of Superga, 672 metres (2204 feet) tall. 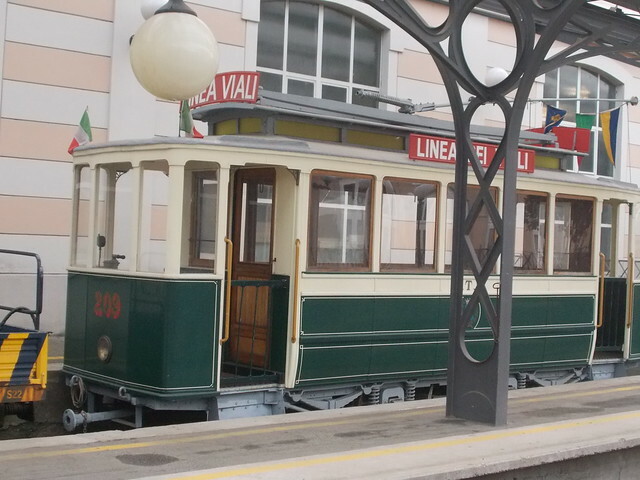 The train from Sassi to Superga adds to the adventure. 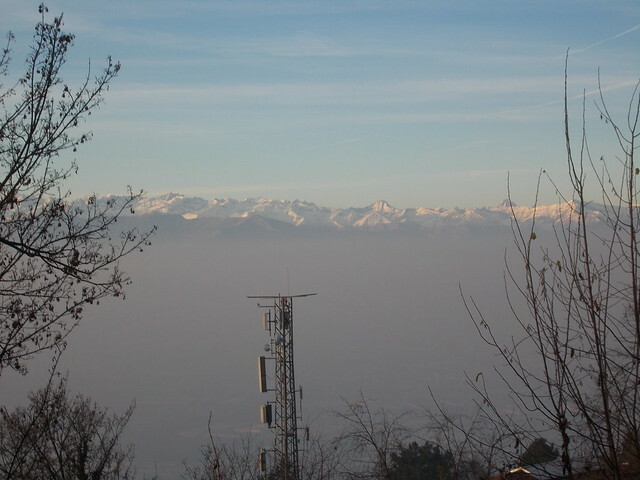 Mirando desde arriba a la ciudad de Torino en un monte es la Basilica de Superga. 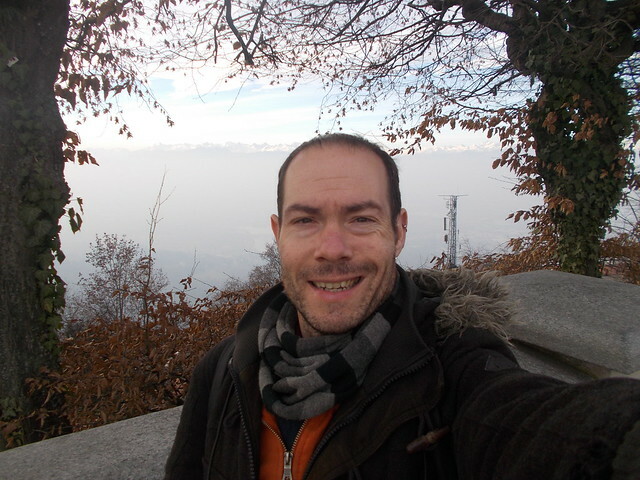 Fue construido en el Siglo XVIII por Víctor Amadeus II de Savoy en el monte de Superga (672 metros de altura). El “trenino” desde Sassi a Superga también es divertido. 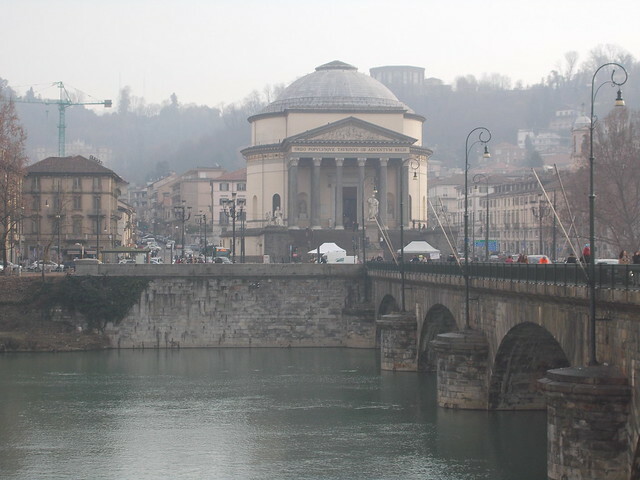 The River Po is the most famous of the four rivers that flow through Turin, and the River Po Park is one of the most famous parks in the city. The other rivers (Dora Riparia), Stura di Lanzo and Sangone are tributaries of Po. El Río Po es el río más famoso de los cuatro ríos de Turín, y el Parque del Po es una de los parques más conocidos de la ciudad. Los otros ríos (Dora Riparia, Stura di Lanzo y Sangone) son tributarios del Po. 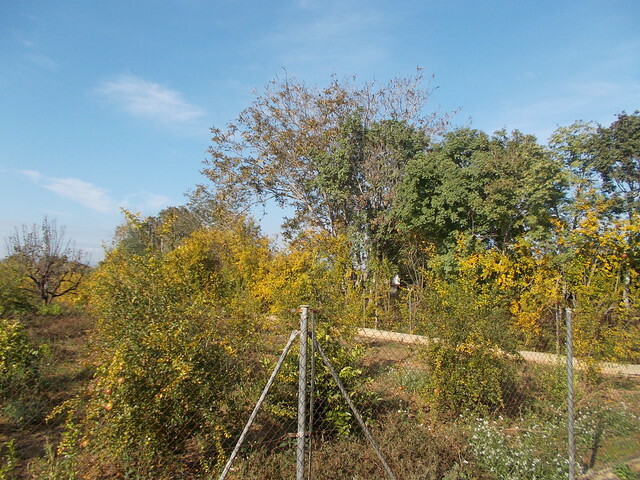 The Valentino Park is the most popular park in Turin. 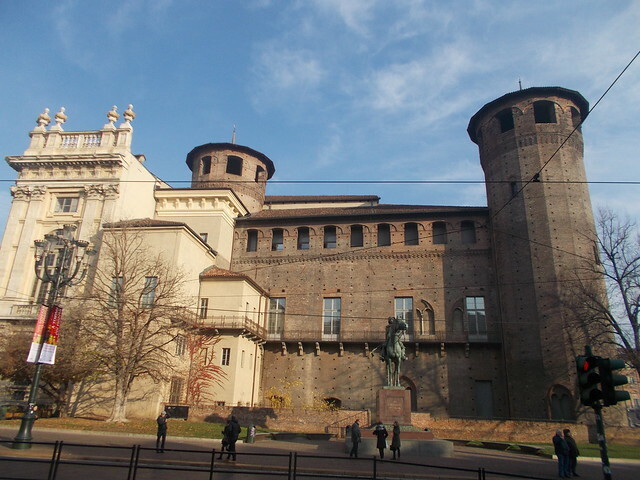 Opened in 1856, it’s the second largest park in Turin and is the home of the Castello del Valentino and a medieval village. El Parque Valentino es el parque más popular de Turín y fue abierto en 1856. Es la segunda parque en tamaño de la ciudad y se encuentra el Castello del Valentino y otro castillo y un pueblo medieval allí. 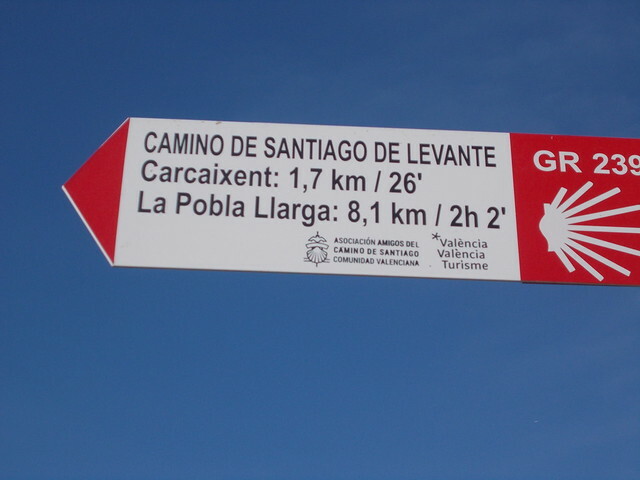 My fifth day on the Camino de Santiago de Levante nearly went as planned! Shocking! ¡El quinto día del Camino de Santiago de Levante casí fui como he pensando! ¡Qué shock! 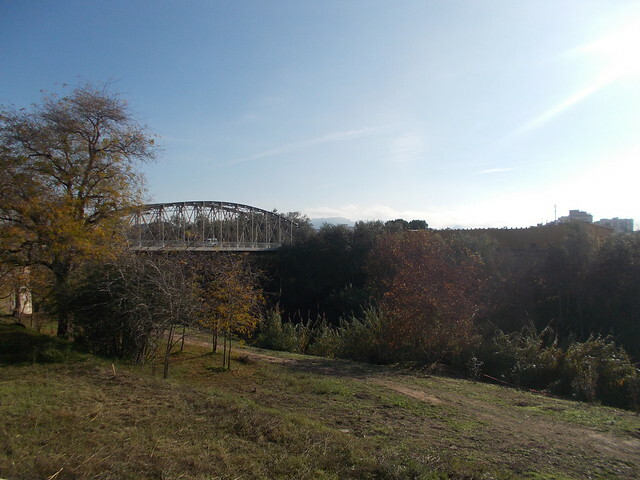 After crossing the bridge, I was quite happy to be on the Camino again. 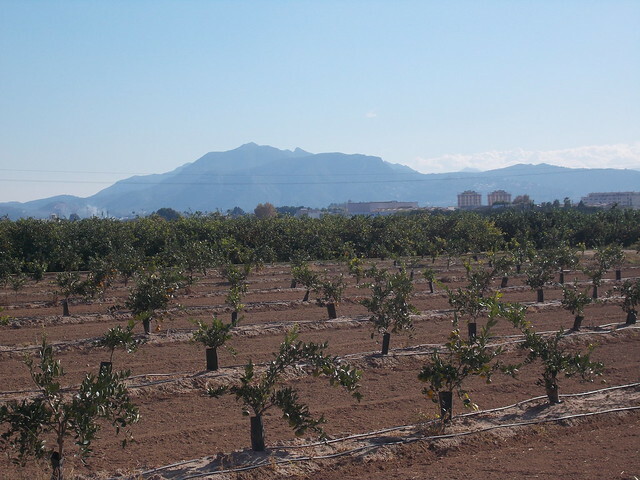 It went through more orange groves, but the mountains in the distance gave it a nicer view. It was long, flat road walking once again. 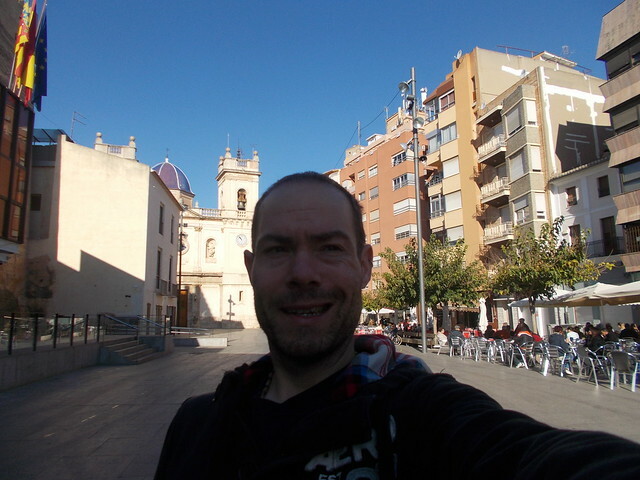 Around 5 kilometres later, I arrived to the small city of Alzira, population 45,000 and the capital of the Ribera Alta comarca .Después de cruzar el puente, estaba contento estar en el Camino una vez más. Pasó por más naranjos, pero los montes en la distancia daba mejores vistas. Era largo y por una carretera plana otra vez. 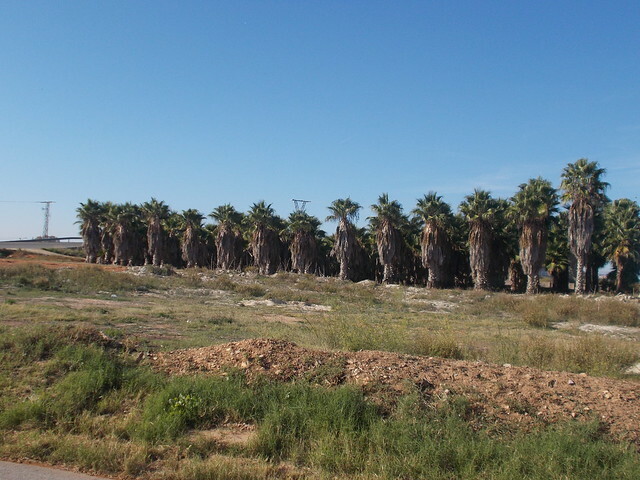 A unos 5 kilómetros después, llegué a la ciudad pequeña de Alzira, población 45.000 y la capital de la comarca de Ribera Alta. I arrived about 11.00 and loved the quaint city. I had a tostada con tomate and second coffee. I was hoping to arrive to La Pobla Llarga to catch the 13.50 train to eat lunch at home, so I didn’t stay too long. I missed another arrow and got to know the Plaza Mayor quite well while trying to find my way out. I had to backtrack again to the last arrow, but I found my way. Llegué sobre las 11.00 y me encantó la ciudad pintoresca. Tomé una tostada con tomate y un segundo café. Estaba esperando llegar a La Pobla Llarga para coger el tren a las 13.50 para poder comer en casa, y no me quedé mucho tiempo. Perdí otra flecha, que me daba la oportunidad conocer la Plaza Mayor bien mientras intenté encontrar la flecha. Tenía que volver otra vez hasta la última flecha, pero encontré el Camino (en más de un sentido). The next village was Carcaixent, population 20,000 (pueblo in Spanish is really village, town or small city, but I always think village when translating.) 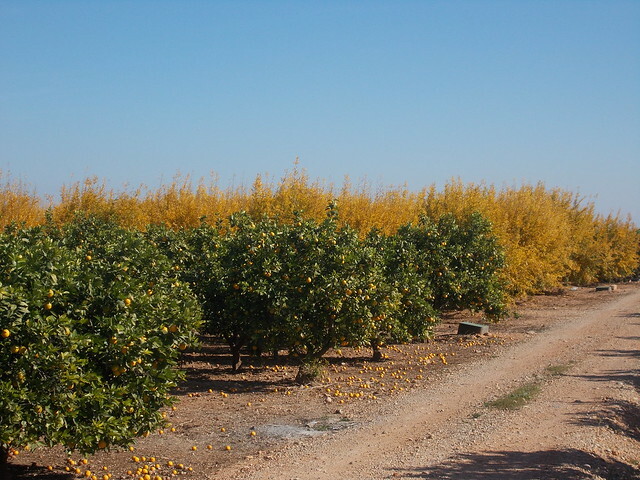 Carcaixent is at the heart of the orange country and one of the most important places for the orange farms. I walked through a lot of orange trees. El próximo pueblo era Carcaixent, población 20.000, y es el corazón de los naranjos y las naranjas como es uno de los sitios más importantes para los huertas de naranjas. Pasé muchos naranjos. I saw the train pull away about two minutes before arriving to the train station. La Pobla Llarga doesn’t have much in the way in bars and restaurants. What little there was either was closed or appeared to be having private lunches. I had an hour to kill, eating my nuts and wandering the village. I figured out how to get back to the Camino from the train station, so it wasn’t all lost! Llegué para ver el tren saliendo de la estación desde 500 kilómetros de la estación. La Pobla Llarga no tiene muchos bares ni restaurantes. Que había o estaba cerrado o pareció tener comidas privadas. Tenía que perder una hora, y me comí los frutos secos y pasé por el pueblo. Encontré el camino desde la estación hasta el Camino de Levante, entonces, no era una pérdida total. I only have one day more before my goal of Xàtiva. I hope to get out there before Christmas! Solo me queda un día para llegar a mi meta de Xàtiva. Espero llegar antes de Navidad. Difficulty: Easy but repetitive. A few dangerous road crossings. Spanish television, in general, is not that great. Sure, La que se avecina is entertaining, and Polonia from Catalunya and Vaya Semanita from the Basque Country are actually much funnier than Saturday Night Live usually is. In fact, until now, I’ve only been able to get into one Spanish series, the horrible yet wonderful Física o química, a teen soap with 20-something actors playing teenagers and their slightly older teachers. La televisión española, en general, es una mierda. Vale. La que se avecina es entretenido, y Polonia de Catalunya y Vaya Semanita de Euskadi son mucho más graciosos que Saturday Night Live suele ser. De hecho, hasta ahora, solo me enganchó una serie española, la horrible-pero-genial Física o química, una telenovela de adolescentes con veinteñeros haciendo el papel de adolescentes y sus profesores que tienen un poco de años más de ellos. Then I came across Merlí. Ahora he descubierto Merlí. Merlí airs Monday nights on Catalunya’s TV3 and is in Catalán. I stumbled upon the Season 1 DVD at FNAC (a wonderful European shop that sells music, films and books, along with other electronic gadgets) by chance, and I started streaming the show at their website, watching it with Catalán subtitles in an effort to improve my Valenciano/Catalán. It’s not so difficult to understand for me. I know there are some versions on YouTube with Spanish subtitles, and I would love to see Netflix pick it up (a pipe dream!) so it could get the attention it deserves outside Catalunya. UPDATE 10 JANUARY 2017: IT IS ON NETFLIX USA!!! El TV3 de Catalunya echa Merlí los lunes y está en català. Encontré los DVDs de la primera temporado un día en FNAC por casualidad, y después empecé a verla por la página web de TV3 con subtíulos en català, haciendo un esfuerzo en mejorar mi valenciano-catalán. No es muy difícil entender, al menos para mi. Sé que hay algunas vídeos en YouTube con subtítulos en castellano, y me encantaría verla en Netflix (una quimera, ya lo sé) para que pueda recibir la atención que merece fuera de Catalunya. NOTICÍAS 10 ENERO 2017. YA ESTÁ DISPONIBLE EN NETFLIX USA. The show centres on a middle-aged philosophy teacher who is hired to fill a vacancy at his son’s secondary school. His son, Bruno, is in 1 Bachillerato (the optional two-year course for Spanish students at the end of secondary school), and is none too happy with his father working at his school. Bruno is coming to terms with being gay and in love with his friend Pol, who has trouble at school in every class but philosophy. Merlí’s style of teaching and lack of respect for the school norms gets him in constant hot water with the director and head of studies. He tutors an agoraphobic student after work is over, and he also romances another student’s mother, giving it all the complicated entaglements to hook a viewer. La serie trata de un profesor de filosofía que está contratado para dar clases en el instituto que su hijo asiste. Su hijo, Bruno, está en el primero de Bachillerato y no está contento tener su padre como profesor. Bruno está en el proceso de aceptarse como gay y está enamorado de su amigo Pol, quien tiene problemas en todas sus clases menos filosofía. El estilo de enseñar de Merlí y su falta de respeto por las normas del instituto crean muchos problemas por Merlí. También da clase particulares a un alumno, Iván, que sufre de agorafobia y tiene relaciones con la madre de otro alumno. Todo los líos necesarios para enganchar los espectadores. The writing is top-notch, the acting is some of the most professional I’ve seen, and the cinematography is more of what I expect from HBO or Netflix than a regional network. Los guiones son geniales, y la actuación también. La fotografía es más del estilo de HBO o Netflix que un canal regional. For those of you who speak Catalán (or one of the languages 198372 varients), I highly recommend that you go to watch it now. For those of you who don’t and are interested, I will let you know the second I find out if there are English or Spanish subtitles. Youtube is the best bet. Para los que hablan catalán (o uno de los 198372 varientes), os lo recomiendo empezar a verla cuanto antes. Para los que no lo hablan y que están interesados en verla, os avisaré cuando me entere que hay subtítulos en castellano o inglés. Por ahora, busca en YouTube. I’m looking forward to being fully caught up on Season 2 before the Season 2 finale on Dec. 12. Me da ilusión acabar la segunda temporada antes del último capítulo de la temporada el día 12 de diciembre. Well, I did the recommended first day’s etapa in four days. Go me! Pues, me tardaron cuatro días para llegar al final de la primera etapa recomendada. Xe que bo! I have had a cold and ear inflammation that has been keeping me cooped up, but I went ahead and did another 10 kilometres on the Camino a Santiago de Levante. I had intended to go to Alzira, but after I set the alarm for an hour later than I intended, I got off to a late start. Story of my life lately. 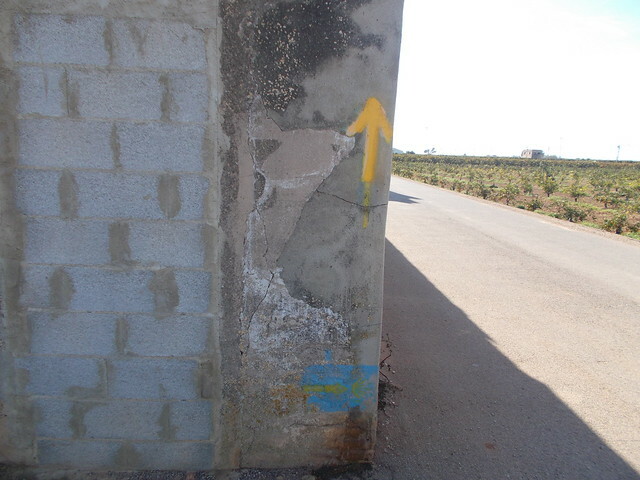 He tenido un resfriado mezclado con inflamación del oído durante un rato ahora, pero decedí que estaba suficientemente mejor para hacer otros 10 kilómeros del Camino a Santiago de Levante. Tenía pensado llegar hasta Alzira, pero después de poner la alarma por una hora más tarde que quería, empecé tarde. Es la historia de mi vida últimamente. I caught the 10.23 train from València Nord and was in Benifaió by 10:45. I stopped for a quick breakfast and café con leche and was on my way out of town by 11.15. 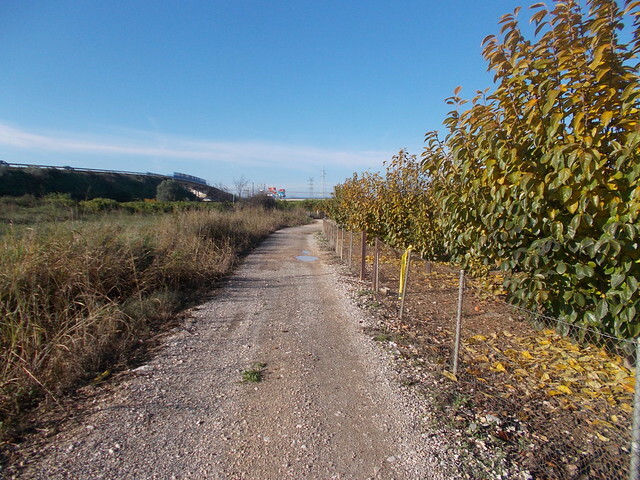 The Camino took me through many, many orange groves. It was 100% paved road. Cogí el tren a las 10.23 desde València Nord y ya estaba en Benifaió a las 10.45. Paré para tomar una tostada de tomate y café con leche y estaba saliendo del pueblo antes de las 11.15. El Camino me llevó por muchos naranjos. Era 100% carretera. Nevertheless, my spirits were high during the 10 kilometre hike. The mountains were getting closer, and it was a beautiful, sunny day of 20ºC (68ºF). It was well marked, and it took about two hours. The only thing that I remember from it, besides the hundreds of orange trees, was how beautiful the mountains were in the distance and how excited I was to be getting closer. Sin embargo, tenía bastante animó durante la ruta de 10 kilómetros. Estaba acercándome al monte, y era un día bonito de 20ºC. Estaba buen señalado, y me tardó unas dos horitas. La única cosa que recuerdo bien (además los cientos de naranjos) era los montes preciosos en la distancia y la emoción de estar acercándome a ellos. Algemesí (population 27,770) is a rather nondescript but nice town. I arrived to the train station just as the train was arriving, and I decided to save further exploration of the village for the next day on the Camino. 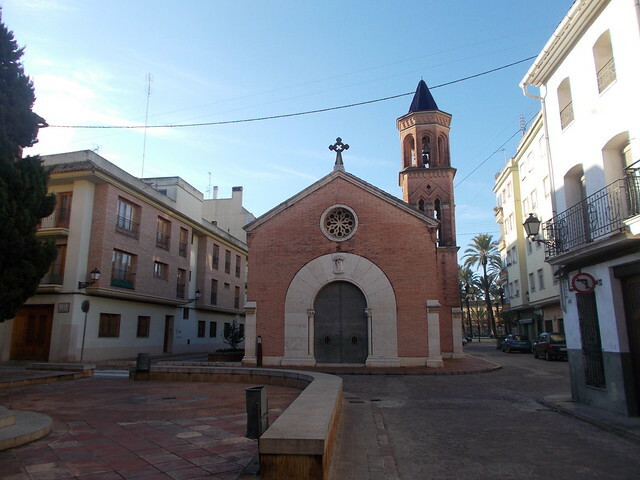 Algemesí (población 27.770) es un pueblo que no tiene mucho pero no está mal. Llegué a la estación de trenes justo como el tren estaba llegando, y decidí esperarme para explorar el pueblo para el próximo día del Camino. The adventure began when I arrived back to Valencia. Adventure, bad luck, whatever you want to call it. Somewhere in the 15 metres between putting my Valenbisi (Valencia’s bike-sharing service) card back in the wallet and the bike, my wallet fell. 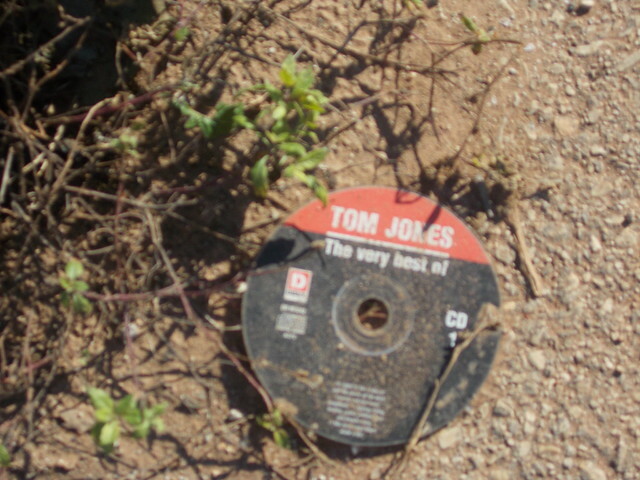 I realised it was missing about 2 minutes later, and I retraced my steps to find it was gone. I checked with the train station and a couple of security guards. Nada. I went home to start the process of cancelling all the cards, and my flatmate texted me to inform me someone had returned the wallet already. 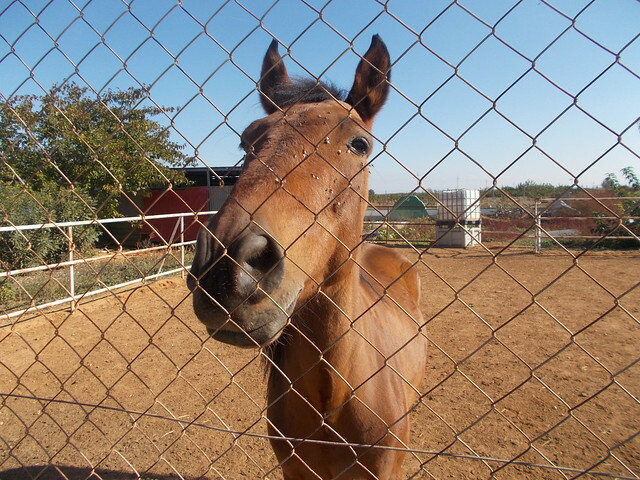 Unfortunately, 50€ or so in cash, my savings from a week of private lessons, had disappeared. La aventura empezó cuando llegué a Valencia. Aventura, mala suerte…misma cosa. Entre los 15 metros desde devolver la tarjeta de Valenbisi a la cartera y coger la bicicleta, perdí la cartera. Dos minutos después, me di cuenta y volví para descubrir que ya no estaba. Pregunté en la estación, pero nadie se la había encontrado. Fui a casa para empezar cancelar todas las tarjetas cuando recibí un Whatsapp de mi compañero de piso para informarme que alguien acaba de devolver la cartera a mi piso ya. Lamentable, ha desaparecido unos 50 Euros…los ahorros de una semana de clases particulares. Xe collons. These things happen, and at least none of the credit or debit cards were touched. However, that 50€ cash was kinda needed. What can you do? Esas cosas pasan, y al menos no han tocado las tarjetas de débito o crédito. Sin embargo, me hizo falta esos 50 Euro. ¿Qué se puede hacer?